Are you searching for best place to exchange Japanese Yen in Melbourne at the most competitive rates? Do you have other currencies and need someone who will not rip you off? Your searches are over. We are a leading and reliable foreign exchange provider dedicated to giving our customers the best rates and make the glad when they transact with us. When you sell your JPY to us, be assured that you will make a good profit because our prices for JPY are always at higher rates than the competitors’ prices. Choose First Currency Exchange as your foreign currency provider and get good rates for your money. If you have other currencies, bring them to us because we buy and sell over sixty different currencies. Providing you with the best service is our commitment. That we have some of the best rates available is not hype. We keep track of the prices of the big names in the industry and ensure that our rates at least match theirs, if not better. That is the reason we always provide a reliable, secure, and satisfactory service to our customers. We ensure that you can transact your business by making JPY exchange available to you at all time. Do you want to transfer money to someone abroad? Are going on vacation, and you need JPY? Trust us; we shall ensure that your needs are met by giving you the most competitive prices. 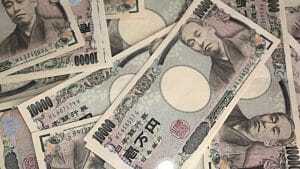 You will not pay any fees because we do not charge it on our JPY currency exchange services. Besides, we guarantee highest customer service delivery possible. Although currency exchange could be confusing, we strive to simplify it as much as possible and give you the price that you will be satisfied with. We are dedicated to providing you with the best foreign exchange services possible. Contact us at First Currency Exchange and do business with us; we are highly delighted to have you.